@avinn the first thing that comes to mind is you didn't chmod everything properly after installing the module from GitHub. If you did you can SSH into the Pineapple and try running the cloner script manually to see what happens. It's at /pineapple/modules/PortalAuth/includes/scripts/portalclone.py. Run it with --help to see all of the available options. The portal is created but its preview on the Pineapple shows 403 Forbidden. No error log except the ones above. Invalid filename and filename too long. I'll need to add a check for these exceptions and work around them. Everyone, as of today I've removed the old server used to test for the existence of a captive portal. If you have not yet upgraded to the latest version of this module from my GitHub you should at least set your test site to https://portalauth.s3.us-east-2.amazonaws.com/cptest.html to regain the portal detection functionality. Of course, I also recommend just updating to the latest version. How did you manage to get the .exe to be displayed there? @Providence It works for me. Did you configure the upload limit first by clicking the link I've highlighted in this image? @Providence open your browser's developer tools and look at the console. You may be uploading a file that's too large. If there is some other issue the console might have the reason. Tried all known fixes in this post and still getting this error on my nano? 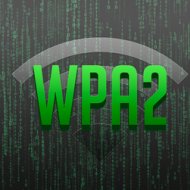 @WPA2 try deleting the module and installing the latest from GitHub. 2. Download the zip archive from GitHub (https://github.com/sud0nick/PortalAuth). 3. Extract it and rename PortalAuth-master to PortalAuth. 4. SCP the PortalAuth directory to the Pineapple in the /pineapple/modules/ directory. I am very new into this topic and would be very happy if somebody can tell me what to do.